When you load up Battlefield™ 1 on October 21 (or October 18 if you pre-order the Early Enlister Deluxe Edition*), you'll be carrying some of the most advanced weaponry the world has ever seen. We asked popular Twitch livestreamer (and Battlefield™ GameChanger) Darkness429 what he wanted to know most about the game's weapons – and asked Julian Schimek, Weapon Designer on Battlefield™ 1, to answer his questions. Darkness429: How do the weapons feel when compared to previous Battlefield games? Julian Schimek: The weapons of Battlefield 1 are a bit more specialized. To get the most out of them, you have to be aware of their strengths and weaknesses, and use the right one in the right situation. Putting your weapon to good use will feel more rewarding than ever before. Darkness429: Will the Gadgets feel familiar to Battlefield players? Julian Schimek: Our Gadgets may look different, but you'll feel right at home with them. World War I drove innovation, which resulted not only in things like tanks and armor-piercing rounds, but also in the sorts of medical and scouting gadgets that revolutionized the next century of war. Darkness429: Are there any ways to customize my weapons? Julian Schimek: Most weapons will allow you to equip bayonets or alter their handling, as well as changing your weapons sights’ magnification. We also have amazing weapon skins, which we'll talk more about in the coming months. Darkness429: How will long-range weapons like sniper rifles feel? 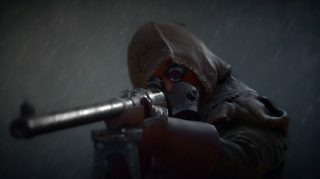 Julian Schimek: The way they work will feel familiar to players who enjoy playing the sniper role in Battlefield games, but they aren't exactly the same. The biggest change is that you will actually be the most effective when you stay at the right distance to your target. It's not all about being as far away as possible. You'll want to make sure you're not too close, but also not too far away. Darkness429: Do melee weapons play a greater role in close-quarters combat? Julian Schimek: Getting up-close and personal with your enemies was much more common in World War 1 than in other wars of the 20th century. We designed a number of distinct melee weapon types to take advantage of this, each featuring different attack speeds and damage output. *Conditions and restrictions apply. See www.battlefield.com/disclaimers for details. They feel fast because they are. If your weapon of choice is an automatic rifle or a powerful LMG, Battlefield 1 is loaded with guns to scratch your trigger finger on. In general, all of the weapons might feel a little faster than you'd expect. On top of adding drag and gravity to the bullets themselves, we increased the bullet velocity. This speeds things up and makes the gunplay feel more authentic. There are six categories of weapons. There are your Shotguns (great for blasting enemies from up close), SMGs (made for short range rapid-fire), LMGs (amazing at tearing things apart from medium range), Semi Autos (balanced and powerful), Sidearms (great in a pinch), and Sniper Rifles (which do exactly what you think). There's a ton of variety. Each weapon type has multiple different weapons to choose from. The weapons of the era were incredibly varied. In fact, many of the weapons of World War I were the first successful versions of those weapons. The first SMGs and Automatic Rifles were deployed during the era, and you can use them in Battlefield 1. Technology hurdled forward during World War I, leading to absolutely incredible, efficient weapons that were damn good at doing what they were designed to do. Whether you're blasting holes in walls and taking down hidden enemies or sniping from across the map, you'll find the gunplay in Battlefield 1 feels modern and fun. Weapon customization is more focused. We definitely want to allow you to customize your weapons in Battlefield 1, but we also heard your feedback that we should try to find a way to do this without adding hundreds of additional attachments. That's why Battlefield 1 utilizes pre-set Loadouts for each weapon - you're still able to customize your weapons to make sure they work with your playstyle, but in a more focused way. Each weapon has up to three Pre-Sets. Maybe you want a shotgun that packs a little more punch? Or maybe you'd rather one that trades stability for accuracy? The different weapon Pre-Sets should help you out. Some have up to three, giving you different ways to play with the same weapons. You're able to customize them as well, changing the zoom levels, reticles, and more. There are multiple types of melee weapons. 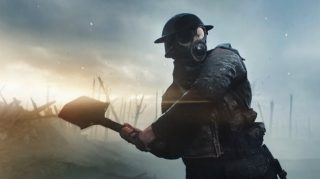 Getting up-close and personal was an important part of The Great War, and while you have plenty of options if you'd rather keep your distance, you'll also be able to use different types of melee weapons, each with their own attack speeds and damage outputs. Some even double as tools – giving you the ability to cut barbed wire, destroy barricades, or even damage light vehicles. You'll be able to perform bayonet charges. Being able to close the gap between you and your enemy is important, especially when you're going for a melee kill. Attaching a Bayonet to the end of your gun helps make that a little easier, letting you charge at your enemies. Make contact, and they're on the fast track to the graveyard. Frags aren't the only grenade types. Besides being able to toss traditional fragmentation grenades, you'll also be able to use gas grenades (low damage, but their gas lingers for a long time), incendiary grenades (high damage, but for a limited time), and more. Using the right one at the right time can be the difference between life and death. The audio fidelity is top notch. DICE is known for delivering some of the best audio quality in gaming, and we're not going to disappoint with the weapon sounds in Battlefield 1. From the BANG of a shotgun to the CLINK of an empty click, we recorded a huge amount of real-world audio to use in the game. You can even tell when your magazine is running out of ammo now - your firing sound slightly changes when your ammo is low. NO WEAPON, VEHICLE OR GEAR MANUFACTURER IS AFFILIATED WITH OR HAS SPONSORED OR ENDORSED THIS GAME.